Comorbid patients with hypertension, diabetes saw an average blood pressure drop of 11.2/5.2 mm Hg. 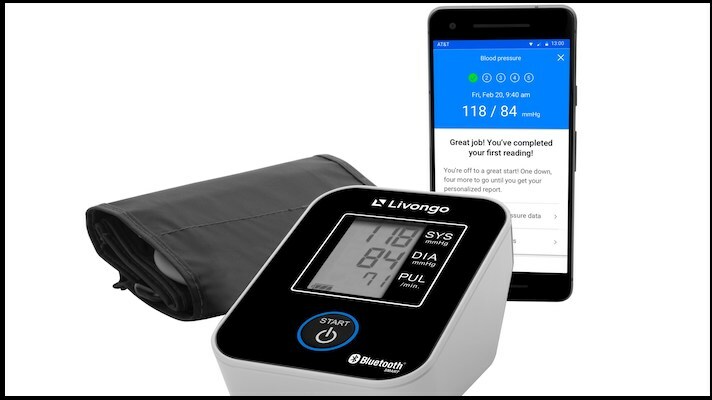 At the American College of Cardiology this past weekend, chronic disease management platform Livongo reported on six-month results from its first major study of its hypertension management platform, which is already in use with many of its customers. The study looked at 708 individuals with both diabetes and hypertension. Patients whose blood pressure was higher than 130/80 mm Hg saw their systolic blood pressure drop by an average of 11.2 mm Hg and their diastolic pressure drop by an average of 5.2 mm Hg after six weeks in the program, which included digital coaching and self-monitoring with a smartphone-connected blood pressure cuff. Research also showed that people were engaging with the program and keeping up with their self-monitoring. Now Livongo is starting to gather that tangible evidence. “It gives us confidence to go not only to our members but to clients to say, ‘This hypothesis that we had coming in, this notion of those three pillars of our platform that we’ve really well-established for diabetes is in fact driving clinical results in the hypertension program,’” Shah said. And more evidence is on the way. The company is in conversations with an academic partner to do a longer-term randomized control trial (the six-week study had no control arm). The future study will also include other outcome metrics beyond blood pressure: It will look at clinical outcomes as well as engagement metrics like adherence to medications. Livongo launched its cellular-enabled blood pressure monitoring system just last fall at Health 2.0. The company has also been in the news for its acquisition of MyStrength, which moves it into the mental health space, and its rumored forthcoming IPO. The clinical value of blood pressure monitoring has been shown at organizations like Ochsner Health that have used a combination of coaching and remote patient monitoring to bring patients into safer blood pressure ranges. Additionally Hello Heart, another digital-based chronic disease management, has a managed randomized control trial highlighting the clinical impact of digital blood pressure monitoring. But it’s also been called into question, most notably in a study in JAMA Cardiology last fall that suggested the benefits were only short-term.